Haq's Musings: Alibaba and Amazon Entry to Accelerate E-Commerce in Pakistan? Media reports suggest global e-commerce behemoth Amazon.com could purchase substantial stake in Pakistan's e-commerce site Clicky.pk. This comes on the heels of a Bloomberg story that quoted anonymous sources indicating Chinese e-commerce giant Alibaba is in serious negotiations to acquire Daraz.pk. Online sales in Pakistan's $152 billion retail market are doubling every year, according to Adam Dawood of Yayvo online portal. He expects them to pass $1 billion in the current fiscal year (2017-18), two years earlier than the previous forecast. Amazon already owns about 33% stake in Clicky.pk through its acquisition in 2017 of Dubai-based online retailer Souq. Souq acquired this stake in the Pakistani company in late 2016. In March this year, Bloomberg cited sources saying that Alibaba and Daraz.pk are negotiating a a price for the acquisition. It said that the "deliberations are an early state and no decisions have been made". Online sales in Pakistan's $152 billion retail market are growing much faster than the brick-and-mortar retail sales. Adam Dawood of Yayvo online portal estimates that e-tail sales are doubling every year. He expects them to pass $1 billion in the current fiscal year (2017-18), two years earlier than the previous forecast. E-commerce in Pakistan is being enabled by increasing broadband penetration and new online payment options. Ant Financial, an Alibaba subsidiary, has just announced the purchase of 45% stake in Pakistan-based Telenor Microfinance Bank. Mobile wallets, also called m-wallets, are smartphone applications linked to bank accounts that allow users to make payments for transactions such as retail purchases. According to recent State Bank statistics on branchless banking (BB) sector, mobile wallets reached a high of 33 million as of September 2017, up 21% over the prior quarter. About 22 percent of these accounts – 7.4 million – are owned by women, up 29% seen in Jul-Sep 2017 over previous quarter. Share of active m-wallets has also seen significant growth from a low of 35% in June 2015 to 45% in September 2017. Online sales in Pakistan's $152 billion retail market are doubling every year, according to Adam Dawood of Yayvo online portal. The country's retail market is the fastest growing in the world, according to Euromonitor. Expanding middle class, particularly millennials with rising disposable incomes, is demanding branded and packaged consumer goods ranging from personal and baby care items to food and beverage products. Strong demand for fast moving consumer goods is drawing large new investments of hundreds of millions of dollars. Rapid growth in sales of consumer products and services is driving other sectors, including retail, e-commerce, paper and packaging, advertising, media, sports and entertainment. Potential downsides of soaring consumption include increased amount of solid waste and decline in domestic savings and investment rates. The number of internet users in Pakistan is rising fastly. According to report by Pakistan Telecommunication Authority (PTA), the number of 3G and 4G customers in Pakistan reach 53.24 Million by the end of March 2018. PTA observed the number of mobile users in Pakistan reached 149.10 million by March 2018 as compared to 147.204 million at the end of February 2018. If you look at the individual mobile network count then Jazz is a top-notch telecom operator and its total count for 3G users stood at 14.98 million by March, compared to 14.88 million by end of February 2018, marking an increase of 0.1 million. Jazz 4G user numbers jumped from 2,590,092 by end February 2018 to 3,155,686 by 31 March. Zong 3G subscribers elevated from 8.893 million by 28 February 2018 to 9.187 million by 31 March, whereas the variety of 4G customers jumped from 5,830,231 by February 2018 to 6,373,061 by 31st March. The count of 3G customers of Telenor community jumped from 10.878 million by the end of February 2018 to 10.928 million by the end of March 2018. The number of 4G customers jumped from 2,154,238 by February 2018 to 2,451,057 by end-March. Ufone added 0.147 million 3G users on its network during the month of March and the total count reached to 6.165 million by end-March compared to 6.018 by end of February 2018. Teledensity for cellular mobiles reached 74.98 % and broadband subscribers reached 55,558,824 by the end of March in comparison with 53,554,231 by the end of February 2018. #Alibaba buys Rocket Internet's #Pakistan #ecommerce platform Daraz. Alibaba Group (BABA.N) has bought the entire share capital of Rocket Internet’s (RKET.DE) South Asian ecommerce platform Daraz Group, Rocket Internet said on Tuesday. 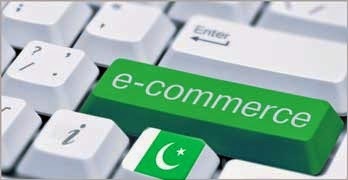 Two technology groups in Pakistan have collaborated to develop a local online payment gateway system to take a share in the growing e-commerce market of Pakistan. Avanza Group and Premier Systems announced to invest over $5 million in the gateway which is aimed to connect individuals with merchants and banks. According to sources, the two companies will set up the joint venture as Avanza Premier Payment Services (APPS). ‘Alipay to start operations in #Pakistan by end of 2018’. Alipay, the China-based third party mobile and online payments platform, will start operations in Pakistan by the end of this year, according to Irfan Wahab Khan, the Telenor chief executive officer. Khan is also a board member of the Telenor Microfinance Bank in which Ant Financial, the parent company of Alipay and the financial services affiliate of Alibaba, acquired a 45% stake at an investment of $184.5 million in March 2018. Currently, Ant Financial is in the process of taking approval from relevant authorities such as the State Bank of Pakistan (SBP) and Competition Commission of Pakistan (CCP) to commence financial services in the country. As Pakistan embraces digital technology after the spectrum auction that saw the arrival of 3G/4G services in the country, a payments solution was the need of the hour. While mobile phone infrastructure and service penetrate 72% of the population, according to the latest data available with the Pakistan Telecommunication Authority (PTA), future growth will rely on digital payments becoming more accessible. Khan agreed that the opportunity exists. “The opportunity exists in data, digital payments and e-commerce,” Khan told The Express Tribune. Pakistan has 58 million broadband subscribers including 56 million 3G/4G subscribers. Its e-commerce market is estimated at $1 billion, and gaining momentum. Recently, Alibaba, the Chinese e-commerce giant, acquired Daraz.pk from venture capital company Rocket Internet, and is tipped to be expanding its footprint in the country. Its financial muscle and experience will help it against competition that includes the likes of PayPak of 1link, Fonepay, and Avanza Premier Payment Services (APPS) that have also entered the digital payments space with investments to the tune of millions of dollars. Telenor – with its network and infrastructure – is also looking at the next growth segment as mobile broadband penetration slows down in the next five years. Additionally, as users opt for over-the-top applications that bypass the traditional calls-receiving and calls-making processes, cellular mobile operators (CMOs) are now eyeing growth in the digital payments segment. Telenor is currently placed second as the CMO with the highest number of subscribers. It has 43 million subscribers after Jazz, which is the market leader with 55 million. Telenor also has a 23% market share in the Next Generation Mobile Services (NGMS) market, which puts in third place after Jazz (34%) and Zong (29%). On the other hand, Telenor also invested in an agriculture sector-related app, ‘Khushhal Zameendar’, which provides location-specific weather forecast and agronomic advisory to small-scale farmers. “It’s about incentive. Customers are sensible to adopt new technology when it offers incentives to them,” Khan said. Alipay, a subsidiary of Hangzhou-based Ant Financial, has been cleared by the Competition Commission of Pakistan (CCP) to acquire a 45 percent stake in Pakistan's Telenor Microfinance Bank. The investment of over US$184 million will expedite widespread adoption of digital payments in Pakistan. With internet penetration continuously on the rise, there are an estimated 60 million subscribers of 3G and 4G in the country that can become potential users of the service. Several mobile payment services are presently operating in Pakistan. Primarily, these have been offered by telecom operators with a large number of cellular subscribers. However, limited international application has kept the penetration rate of the payment portals relatively low. Entry of Alipay, the world's largest mobile payment platform, will intensify competition higher, improve the quality of service and reinvigorate the entire landscape of the industry. Pakistan's growing young population makes it suitable for embracing cashless payments on a large scale. People under the age of 30 form 64 percent of the population who are always the most likely to take up any new technology. On top of that, high cellular phone use will be a facilitative factor, since the mobile-first strategy for internet-based businesses is very valid in Pakistan. Commencement of Alipay's operations in Pakistan will also provide a major push to e-commerce. eBay CEO Devin Wenig recently identified emerging economies like Pakistan as the fastest growing e-commerce hubs of the world. The trend is spreading like wildfire across the country with new online shops emerging constantly. A reliable e-payment gateway with worldwide collaborators is all that Pakistanis need to streamline their online transactions. Alibaba had already acquired Pakistan's leading e-commerce platform Daraz. Utilizing the reach of Alibaba, Pakistani sellers will now be able to connect with global buyer. The digital payment boom will be most beneficial for small and medium-sized enterprises that form the backbone of the national economy. Many of these businesses face difficulties in financial transactions due to being located in rural areas. Alipay might prefer to focus on them as the Pakistani government wants to reduce their business costs and difficulties. Across the border in China, a new policy is on the cards to increase e-commerce purchases from overseas. Around 63 additional categories are being added to a product list of what can be imported duty-free through online platforms. Moreover, 22 cities, such as Beijing, Nanjing and Shenyang, are also being included in e-commerce pilot zones. With several food items in the revised e-commerce import list, there is much potential for Pakistani farm produce. Fruits like mango and the mandarin hybrid kinnow can gain extended reach in the Chinese food market and the recent push to increase meat and poultry production could further boost Pakistan's exports. The targeted online shoppers in China are increasingly focusing on foreign brands. Large businesses and premium brands from Pakistan can reach out to these buyers through Tmall Global – another Alibaba operated e-commerce platform allowing Chinese consumers to purchase products from abroad. Pakistan's small to medium businesses might not have the logistic prerequisites for this platform, but international-standard large companies certainly can. Ant Financial is coming to Pakistan at a time when trade between Pakistan and China is touching new heights through the flagship project of Belt and Road Initiative (BRI) known as China Pakistan Economic Corridor (CPEC).